The Summer is Made for Travel! School’s out for the summer – and even if you don’t have kids, it’s an exciting time! It’s also time to start planning getaways and vacations while you can. Fortunately, there are plenty of ways to save when traveling. Here’s an overview of how and where you can save this summer. The Wydham Hotel Group has several options to make the most of your summer travel dollars, nationwide and worldwide. TRYP, with locations in New York, Barcelona, Madrid, Paris and Buenos Aires, is perfect for families traveling with pre-teens. Reservations made at least seven days in advance will save 10% off the Best Available Rate. Or, book three or more consecutive nights at Wyndham Hotel & Resorts and save 30% off the Best Available Rate. And, in addition to saving 15% by booking a stay at a Days Inn a week in advance, you’ll save even more if traveling with the kids since those under 17 stay free with paying adults. After its huge success last year, CyberSummer is back to save you money! But you’ll have to hurry… on one day only, June 21, more than 20 beachfront four- and five-star hotels and resorts in the Caribbean, Latin America and Florida will offer amazing savings. How amazing? Try four-diamond resorts for $99/night, five-star hotels offering 50% off, free nights and more. The San Juan Marriott, Puerto Rico is offering 30% off rates, starting at $130night; St. Kitts Marriott is offering book four nights and receive three nights free, from $189/night; CuisinArt Golf Resort & Spa in Anguilla is offering 50% savings on its Beachfront Jr. Suite at $300/night; and the Jupiter Beach Resort in Florida has $99/night rates. And this is just a sampling! Hotels in Delray Beach, Florida have come up with some cool summer specials – some as low as $99/night – as part of the “Be Hot Here. 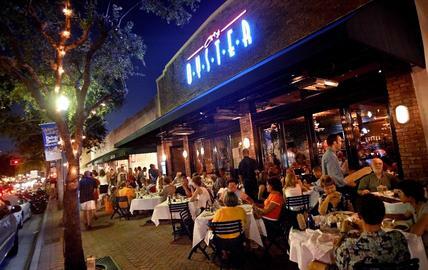 It’s always cool in Delray Beach, Florida.” And I can vouch for it… Delray Beach is indeed cool! If Palm Beach, Florida is on your summer travel calendar, be sure and check out all the savings you can take advantage of at MyPalmBeachSummer.com. The site is organized into popular categories, including Affordable Luxury, Family Fun, Florida Residents, Drive & Dine, Spa Palm Beach and 2 for 1. The savings don’t end in August, though – most run through September 2014. And if you’re a Florida resident, you’ll receive a $25 hotel credit with a minimum two-night stay at just under 300 Hilton Worldwide participating hotels. Just ask for the Florida Residents rate (proof of residency required) and it’s yours! These are just a few ideas on how you can make the most of your summer travel plans. Where will this summer take you?